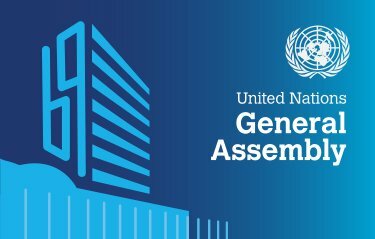 What is the UN General Assembly all about ? ensuring decent life for all Global leaders gathering at United Nations Headquarters in New York this week for the annual round of top-level diplomatic talks known as the General Debate will shine a spotlight on the needs of the world’s people, with discussions on vital issues such as sustainable development and climate change, and set the stage for what the President of the UN General Assembly has dubbed a “year of firsts,” which will see the negotiation of the first intergovernmental compact on migration and the signing of the first agreement on the elimination of nuclear weapons. The theme of the Debate of the 72nd session of the UN General Assembly is ‘Focusing on People – Striving for Peace and a Decent Life for All on a Sustainable Planet,’ and in that spirit, monarchs, presidents and prime ministers are also expected to launch discussions that will define international responses to many of the global challenges of the day, including protracted conflicts, extreme poverty and hunger, and the refugee crisis. On Tuesday, ahead of the Debate, which runs through 25 September, UN Secretary-General António Guterres will present his annual Report on the work of the Organization. This year’s Assembly President, Miroslav Lajčák of Slovakia, will then deliver the keynote opening speech. This will then be followed by Brazilian President Michel Temer, whose country holds the traditional role of first national speaker. He will be followed by United States President Donald Trump, as leader of the host nation. Mr. Guterres began this week of intense diplomatic activity Monday with a round of high-level events, among others, on UN reform, financing the 2030 Agenda for Sustainable Development, and on the prevention of sexual exploitation and abuse . Other highlights include an event tomorrow on women’s economic empowerment; a ministerial-level Security Council debate, set for Wednesday 20 September, on reform of UN peacekeeping operations; as well as, immediately after the debate, a special meeting of the Assembly to commemorate the International Day for the Total Elimination of Nuclear Weapons and a two-day high-level meeting on the UN Global Plan of Action to Combat Trafficking in Persons, set for 27-28 September.